Sure, the winters up here in the Pacific Northwest may be mild (mostly) but mother nature can and often does throw some curve balls! Have you ever heard someone say, “Geez, remember the winter of (insert year) where we got a foot of snow, then rain, then hail, then snow!!! That was tough!”? I guarantee you’ve heard something like that if you live in this area for more than a couple of years which is why being prepared for any type of winter weather is better than waiting until it’s too late. Oil tends to thicken in cold weather and won’t do the best job of keeping your engine lubricated. It’s also worth thinking about the season’s weather when you’re choosing your oil type. I remember a trip I took over the pass a few years back. I hadn’t checked the reservoir on my windshield wiper fluid and ran out of fluid right in the middle of a slushy snow storm. I was actually having to pull over every few miles to clear the windshield so I could safely drive. Remember: Water won’t work. You need a suitable all weather/winter formula. It doesn’t snow too ofter in our area but it’s better to be ready for being out in all kinds of winter weather with the proper treads on your car. Have you ever left a piece of rubber outside in the winter time? It doesn’t do too well does it? Make sure your belts and hoses are in good shape. In the event that you get stranded you’ll want to be prepared for the worst. Consumer Reports has some great advice for you on how to put one together. Get one and feel safer. 6. COME AND SEE US! 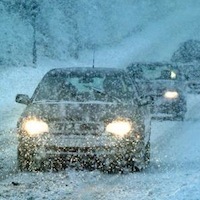 We’d love to give you car a once over and make sure that you’re ready for the winter roads. If we find something we can help you with we promise to offer great service and reasonable rates. Come and see us today! Copyright © 2019 Lake Stevens Automotive. All rights reserved. Custom website design by Rocketship.